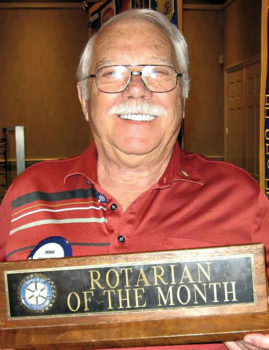 Doug Baker of Oakwood was recognized by the Sun Lakes Rotary Club as March’s Rotarian of the Month. Doug is a hard-working Rotarian who is responsible for keeping one of our major fundraisers under control, month after month after month. 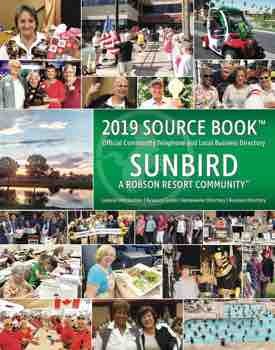 Sun Lakes Rotary is very dependent upon the funds received from Robson Publishing for the distribution of the monthly Splash newspapers and the annual Source Books. That job includes contact with Robson Resort Communities, Inc., contact with the delivery trucks each month and then assuring that there is enough manpower to get the papers delivered. Doug Baker is the man who gets it all in order. We will never know how many ulcers he has gotten after all these years, but he still has that big smile! Doug joined Sun Lakes Rotary Club in 2004 and is a Multiple Paul Harris Fellow. He is a retired U.S. Air Force pilot and a retired United Airlines pilot. His wife Shirley passed away recently. He has three children and 10 grandchildren. The Rotary Club of Sun Lakes meets for breakfast every Tuesday morning at 6:30 a.m. in the Oakwood Country Club Ballroom. The meetings start at 7:00 and end promptly at 8:00 a.m. Cost of breakfast is $12. To make reservations for any meeting, contact Rotarian Fred DePrez at 480-892-7499. For Sun Lakes residents, if you want to know more about the club, contact Charles Loew at 602-721-3680. SunBird residents should contact Walt Mills at 480-883-8007. www.sunlakesrotary.com.